Oh my! Where to start! When researching Munchkins, much because of conversations about my Oz blog, I found a treasure trove of delightful stories. Therefore, Munchkin legend and lore future posts will be sprinkled in here and there. And because we are entering the month of October, witches and wizards seem like appropriate posts to focus on the rest of the month. Please scroll down to the end of post. There are some very funny bits of trivia included which I will do more posts on later, such as, I mentioned, where to start! Munchkins have been re-imagined many times over the past century. Besides the 1939 version with the “lollipop kids”, I must admit I liked the Muppet’s version of Munchkin rats with Sergeant Bubba. 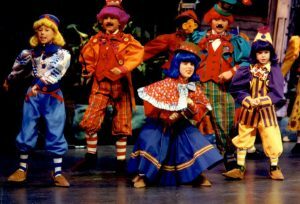 Munchkins have been portrayed as benevolent happy little folk who love to sing and dance, in most productions. I say most because I didn’t see the television show “Once Upon a Time” Munchkin segment that may have had a more sinister twist. Is this the case? Nor did I see “Dorothy and the Witches of Oz.” Have you see either of these? What wisdoms can I glean from them? Munchkins, as I know them, are sweet and happy and love to sing. My visit to Oz didn’t include them though their benevolence welcomed me. W. Denslow’s depiction of Munchkins, from the first edition of The Wonderful Wizard of Oz. The Munchkinsare the natives of the fictional Munchkin Countryin the Oz books by American author L. Frank Baum. They first appear in the classic children’s novel The Wonderful Wizard of Oz (1900). They are described as only wearing shades of blue clothing, as blue is the Munchkins’ favorite color, and the predominating color that officially represents the eastern quadrant in the Land of Oz. They and the non-Munchkin Witch, the Good Witch of the North who accompanies them upon Dorothy Gale’s first arrival to Oz, are described as being the same height as Dorothy, who is hinted to be no older than twelve-years-old. Baum never explained where the term came from, but Baum researcher Brian Attebery has hypothesized that there might be a connection to the Münchner Kindl, the emblem of the Bavarian city of Munich (spelled München in German). The symbol was originally a 13th-century statue of a monk, looking down from the town hall in Munich. Over the years, the image was reproduced many times, for instance as a figure on beer steins, and eventually evolved into a child wearing a pointed hood. Baum’s family had German origins, suggesting that Baum could have seen one such reproduction in his childhood. It is also possible that “Munchkin” came from the German word “Männchen”, which means “mannikin” or “little figure”. In 1900, Baum published a book about window displays in which he stressed the importance of mannequins in attracting customers. It is also possible that the term came from the Romanian word for laborer, “muncitor”, replacing the Romanian suffix of agency, “-itor”, with the English suffix of (kind, sort, and) class identification, “-kin”. “Munci” is the Romanian verb “to labor” and is pronounced /MOOHN-chee/. The classic 1939 musical movie The Wizard of Oz loosely based upon Baum’s novel, the Munchkins are portrayed by children and adults with dwarfism. 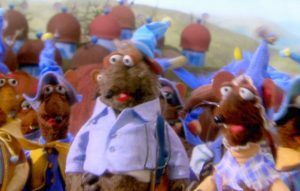 Unlike the book, their country is called Munchkinland and they all wear colorful garments and outfits instead of all blue attire. 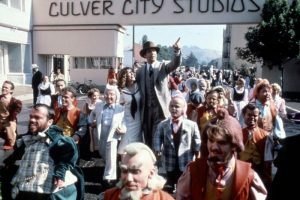 The Munchkins appeared in The Wiz and were played by children and teenagers. 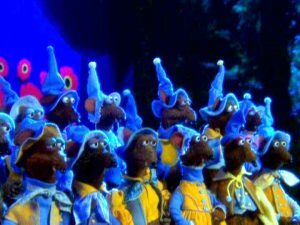 In The Muppets’ Wizard of Oz, the Munchkins were played by Rizzo the Rat (who portrayed the Mayor of Munchkinland) and his fellow rats. 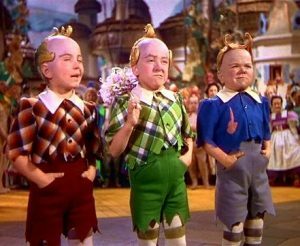 The Munchkins appeared in Dorothy and the Witches of Oz. They were brought to Earth by Glinda in order to combat the forces of the Wicked Witch of the West. 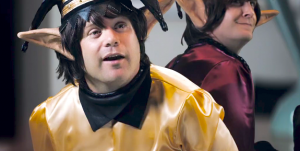 The Munchkins appear in Oz the Great and Powerful. They alongside the Quadlingsand the Tinkers as inhabitants of Glinda’s protectorate. 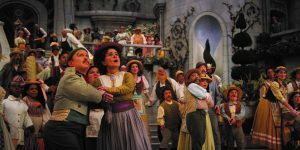 Although the film is not otherwise a musical, the Munchkins sing and dance much as they do in the 1939 film. 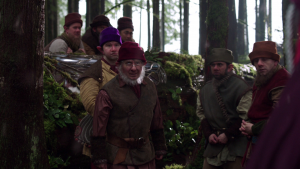 The Munchkins appear in Once Upon a Time. Munchkins from Under the Rainbow. UNDER THE RAINBOW, Carrie Fisher, Chevy Chase, 1981. (c) Warner Bros.. 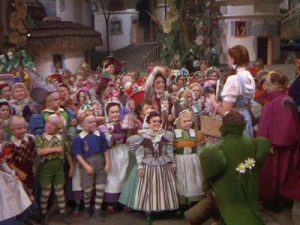 When MGM began filming The Wizard of Oz, they housed nearly all of the 124 “little people” who played the Munchkins. 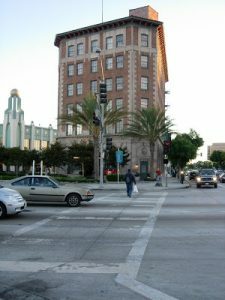 Story has it that a secret underground tunnel was built to usher them to their set at the nearby Culver Studio — as well as to ferry alcohol during the Prohibition. In reality, this “secret” pathway was used for pedestrians to cross the busy boulevard, but we like to stick with the first story better! 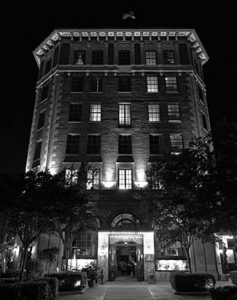 The Culver Hotel located in downtown Culver City, near the Sony Studios (formerly MGM) and the Culver Studios, has had many famous residents over the years. However, the most famous guests to stay at this hotel would probably be the Munchkins from the 1939 film the Wizard of Oz. ← The power is within us. We are all Dorothy! Hi There! We are searching for some people that might be interested in from working their home on a full-time basis. If you want to earn $200 a day, and you don’t mind developing some short opinions up, this might be perfect opportunity for you! Simply check out the link here NOW! Hey there !! Fantastic well written article and also extremely useful. Nice to find your own web pages. I simply want to say I am just new to blogging and site-building and certainly liked you’re blog site. More than likely I’m going to bookmark your blog post . You amazingly have wonderful well written articles. Kudos for sharing with us your website. I simply want to mention I am just newbie to blogs and seriously enjoyed this blog. Likely I’m likely to bookmark your site . You actually come with remarkable article content. Cheers for sharing with us your blog site. I am glad for commenting to let you understand what a excellent experience our princess experienced going through your blog. She picked up so many things, which include what it’s like to have a great coaching nature to get the mediocre ones smoothly have an understanding of some complicated topics. You actually exceeded my expectations. Many thanks for providing these essential, safe, educational and even fun tips on that topic to Lizeth. I must express appreciation to the writer for bailing me out of such a predicament. Right after searching through the online world and finding basics that were not productive, I was thinking my entire life was well over. Living devoid of the solutions to the difficulties you’ve resolved through your entire guide is a critical case, as well as the kind which may have adversely affected my career if I hadn’t discovered the blog. Your own personal expertise and kindness in dealing with all the things was vital. I don’t know what I would’ve done if I had not discovered such a point like this. I’m able to now look forward to my future. Thanks a lot so much for your high quality and results-oriented help. I won’t be reluctant to endorse your blog post to anybody who should get assistance on this subject. Hiya, I’m really glad I have found this information. Nowadays bloggers publish only about gossips and internet and this is really annoying. A good website with exciting content, this is what I need. Thank you for keeping this web-site, I’ll be visiting it. Do you do newsletters? Can’t find it. whoah this blog is great i love studying your articles. Keep up the good paintings! You know, many persons are hunting round for this info, you can help them greatly. Magnificent web site. Plenty of helpful info here. I am sending it to several buddies ans additionally sharing in delicious. And naturally, thanks on your effort! It¡¦s actually a cool and helpful piece of info. I¡¦m happy that you simply shared this helpful information with us. Please keep us up to date like this. Thank you for sharing. Heya i’m for the primary time here. I came across this board and I in finding It really helpful & it helped me out much. I’m hoping to present one thing back and help others such as you aided me. Heya here, just turned alert to your writings through Yahoo and bing, and have found that it’s pretty interesting. I will be grateful for in the event you maintain this informative article. Hiya here, just became alert to your writings through Google, and discovered that it is genuinely helpful. I’ll take pleasure in in the event you carry on this idea. You can certainly see your expertise within the paintings you write. The arena hopes for more passionate writers such as you who aren’t afraid to mention how they believe. Always follow your heart. “If the grass is greener in the other fellow’s yard – let him worry about cutting it.” by Fred Allen. Great ¡V I should definitely pronounce, impressed with your website. I had no trouble navigating through all tabs as well as related info ended up being truly simple to do to access. I recently found what I hoped for before you know it in the least. Quite unusual. Is likely to appreciate it for those who add forums or something, website theme . a tones way for your client to communicate. Nice task..
Hi, There’s no doubt that your web site could be having internet browser compatibility problems. Whenever I look at your web site in Safari, it looks fine however, if opening in I.E., it’s got some overlapping issues. that kind of info in such a perfect means of writing? I’ve a presentation next week, and I am at the look for such information.